Warnock has stepped down as Leeds manager. CHAMPIONSHIP SIDE LEEDS United have confirmed manager Neil Warnock has left the club. The former Premier League side are 12th in the Championship, eight points adrift of the play-off places, and the club’s owners have chosen to act in a bid to challenge for the top places in the table next season. “The decision has been taken with a view to preparing for the 2013-14 season, and Neil Redfearn will be asked to take control… until a permanent appointment is made,” the club statement read. “This may well be after the end of the season dependent on the availability of suitable candidates changing all the time then we will adopt a flexible approach, so as to ensure that we make the right appointment. Chief executive Shaun Harvey emphasised the need to look to the future, and maintained that the need for promotion next season was their main consideration. “We would like to thank Neil for his efforts during his time as our manager and share his disappointment that we could not achieve promotion this season,” Harvey said. Email “Wave goodbye: Neil Warnock quits ailing Leeds”. 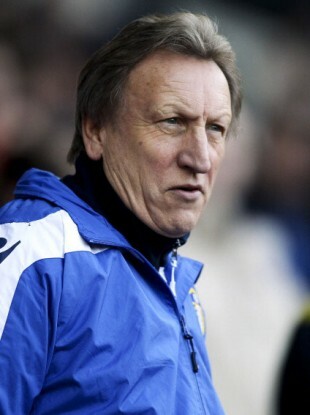 Feedback on “Wave goodbye: Neil Warnock quits ailing Leeds”.